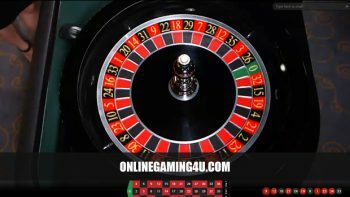 At OnlineGaming4u, we have put together one of the most comprehensive guides to live roulette games online and on mobile. Unlike other guides that focus on live roulette strategies, we bring your attention to exclusive live roulette sites, unique live roulette games and bonus offers to claim upon signup. Because there are countless websites out there detailing different roulette strategies for live roulette, we thought it would be more beneficial to put our eggs in other baskets. We bring you a unique guide that can be used for claiming bonus deals of all kinds, including first deposit bonuses, free roulette and no deposits. Another main focus point of our guide is live roulette sites that accept UK players or are located in the UK and surrounding associated territories. 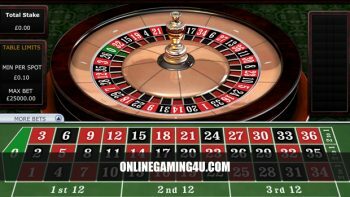 If you are looking for UK live roulette casinos in 2018 then you are in the right place. These casinos all have live dealers and use real roulette wheels that are legitimately spun by a real person. There is no automation, no bots and no computer roulette wheels. There are many live roulette games to play at each casino including; VIP roulette, speed roulette, UK and European roulette and more. One of the advantages of this list of live roulette sites is that they all come with a free roulette bonus and some free chips to get you started. When you want to play poker, blackjack, or other gambling games, you used to have to visit a casino or other UK gambling establishment to experience a real-time game. But thanks to technology, as well as gambling software developers, some of these casino games may now be played online – live. Aside from poker and blackjack, people can now play roulette live without leaving the comfort of their own home. In the UK, players can play roulette, but very few of the live casinos are actually based in the UK. Most of the providers are located overseas. No one knows why this is the case, but many of the major brands do this. Could it be so the staffing is more affordable? Maybe so that the provider is able to allow 24/7 roulette play? Who knows? The main point is that, although casinos providing the live roulette games are located in Latvia etc, they do provide full access to UK players. Often live roulette casinos provide around 4 or more different roulette games that can be played live at any one time throughout the day. Live dealers are located in a casino establishment – often specifically created for online gambling only. The game tables are set up in the venue. Real tables with real equipment, real casino chips and real decks of cards (where applicable). There are often multiple games available at the casino – roulette, blackjack, baccarat etc. These games are live streamed via video link connected to gambling systems that are created by the software provider, e.g. Playtech. Casino customer accounts are linked to the live games using software and customers are able to play roulette etc via the live video stream. Bets are placed using virtual chips that the dealers do not see on the table, but on a computer their end and customers end. For games that require playing cards, the cards contain a micro chip that is scanned when a card is dealt. The computer recognises the chip and displays the card information to the customer, e.g. Queen of Diamonds, 2 of Clubs, Ace of Spades etc. When a player places a bet on live roulette, the chip only appears on their computer screen – no chips are placed on to the dealers table at all. After the roulette wheel has finished spinning and the result is known, the computer recognises this and checks the computer system to see if there are any winners. Players play alongside other players in live roulette at the same table. There is usually a chat function where players can speak to eachother and the dealer. Live roulette and other live games have time limits for each betting round. This means that each player will get a set number of seconds in order to place their stake / bet / chips. 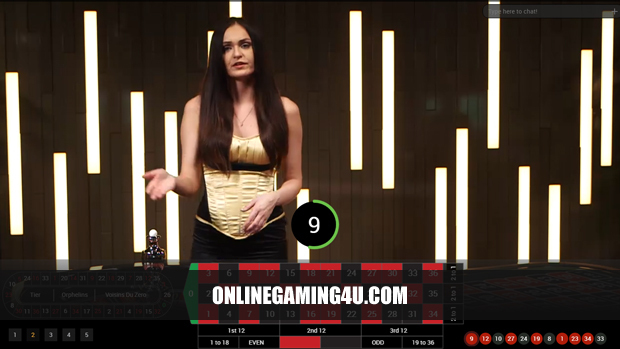 The time can vary from 10 seconds to 1 minute per betting round. If a player is in the middle of still palcing their chips on numbers and the betting round time runs out, then the betting round will end and begin the game round. All chips already placed will count. The dealer spins the roulette wheel and the next betting round won’t begin until the game round has finished and the ball lands on a number. Live roulette games often have multiple functions that can be used within the game, much like automated roulette, e.g. double, repeat bet etc. What is ‘truly’ live roulette? 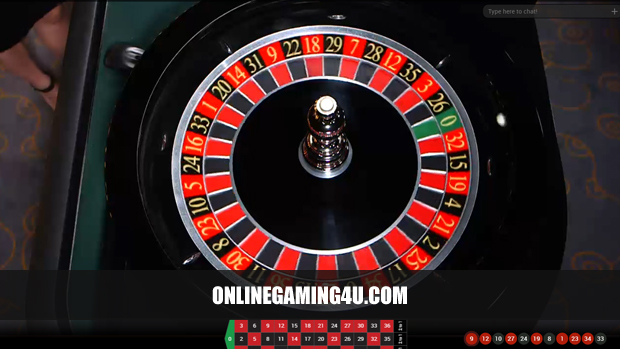 In the UK, there are a handful of roulette sites out there that claim they are live, but use a computerised or automated (RNG – random number generator) roulette wheel. While they are technically not lying, the wheel is not a genuine roulette wheel and still runs on a random number generator. RNG live roulette defeats the object of live roulette. If a real wheel is not used, then it is no different to playing regular online roulette games. Do customers know they are playing RNG roulette? Are they being duped in to thinking it is truly live? And why is this a problem? RNG Live Vs Truly Live – What’s The Difference? RNG roulette affects gambling differently to truly live roulette and the RTP is different. RTP stands for return to player and in roulette is the amount of money that will be returned to the player as a percentage. For example, an RTP of 95% means that for every £100 wagered, a player can expect to receive £95 return – losing £5 each time. With random number generator games, the RTP can be set by the casino or software provider which is often less than standard roulette RTP. Of course, a casino will always have a house edge over the player, but reducing the house edge as much as possible is advantageous to the player. House edge is the advantage that a casino has over a player in chance games such as roulette. It is what makes casinos profitable and worthwhile. 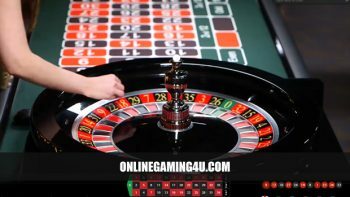 Many people think that online gambling is all the same, but there is a big difference between online gambling games and live games such as roulette. With live roulette, the pros are obvious, but often overlooked. Fans of live roulette prefer to play live with real dealers as if they are really in a casino. 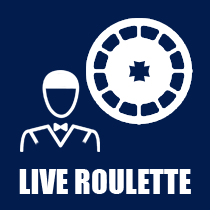 Live roulette is also favourable because it eliminates doubt that games are rigged against the player. The player may see what is happening with the roulette wheel in real time. This builds confidence and lets players concentrate purely on their game. Rather than second guessing and worrying about being conned every time the ball doesn’t fall their way. Being able to literally ‘keep an eye’ on the game is paramount. The constant video stream on webcast technology makes it possibe. In roulette, people know where they stand when it comes to games such as European roulette. Whereas with virtual games, players are thrown in to the unknown. What are the game rules? What are the odds? What is the house edge? What is the RTP? This is why, for most, live trumps all. Players are assured that the results are authentic, and something they are familiar with, and the not generated by the computer or any form of software. What’s more is, the player will also get to hear the voice of the dealer at the same time. Because of its features that let the players feel like they are already at the casino, live roulette is now considered as one of the most popular gambling games of today. One of the first introductions of live roulette in the United Kingdom was games shown on TV. In fact, one of the first ever live roulette brands to launch was SuperCasino.com. Although online casinos were already offering virtual gambling, very few offered live games. SuperCasino.com, first launched in 2005 as ‘Vegas247’ and provided after hours roulette gaming on TV channels in the UK. The brand quickly changed to ‘Live Roulette’ a year later and became SuperCasino in 2008. Another notable TV roulette brand is ‘Jackpot247’, which was first launched as ‘Challenge Jackpot’. Due to rise in popularity of these channels and software availability, online bookies and casinos started delving in to the world of live gaming and exploring other options to cater for the demand of live gambling. Instead of broadcasting the video stream on TV, players were able to watch live roulette exclusively online at casino and betting sites. There are now several online gambling websites and live roulette sites flourishing. They even provide numerous guides that help beginners to get started. Some of the most popular live roulette brands in the UK are: Coral, William Hill, Leo Vegas, Genting, Paddy Power, Betfair and Gala. Other casinos are also branching out in to live gambling such as Jackpotjoy and Virgin. Looking for a strategy you can use in live roulette? Try a search for any of the following popular strategies; Martingale, Parlay, D’Alembert, 4 Pillars, Labouchere. Or check out this site that goes in depth on a number of methods people use for betting. For players who are looking to watch live roulette for free, you can do so at most live casinos. However, registration is required. You do not need to make a deposit, but you will need to register. Signing up to a live casino is free and does not require any funds. If you’re looking to play live roulette for free, you will struggle to find a website that gives you credits to play with. Most play money casinos are not live and only provide access to virtual roulette games. Those that offer no deposit bonuses have restrictions on selected games and often do not include live roulette or blackjack. The best way to prolong the playing time of live roulette is to find a casino provider that offers very low stakes. Some sites have games whereby the minimum stake per number is 10p. So if you deposit the minimum amount required by the online casino, usually £10, it will last you for 100 spins. If the casino matches your deposit with 100% bonus, it will last you for 200 spins at 10p per spin.